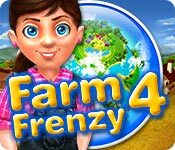 Farm Frenzy 4 is rated 2.4 out of 5 by 101. Rated 5 out of 5 by katedail from Fun Game! 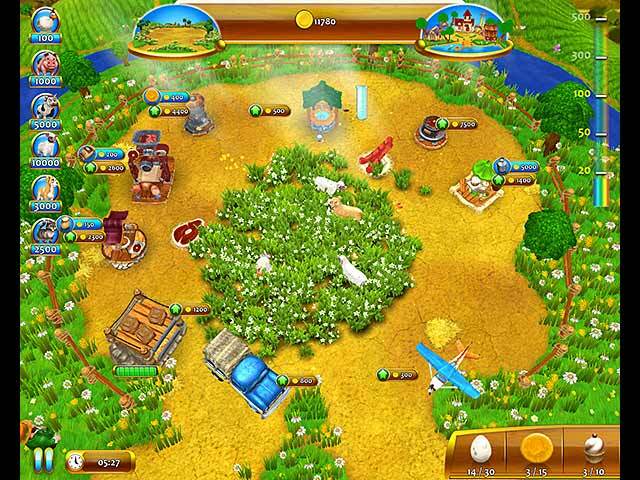 I enjoyed the other levels of Farm Frenzy and enjoyed this one too. It was not as hard as 3, once you understand the different interface. The bears are more annoying than dangerous. I feel that this one was just a little easier than 3. Different interface, easy to learn. Fun, fun, fun. Rated 5 out of 5 by beltie from Another Great Game In The Series! New Format I don't write a lot of reviews, but I just had to write one for this game. I too am surprised by the poor reviews it has received. I have played all the games in the series and although this one does have a different format, it is very enjoyable. The graphics are wonderful, the storyline is cute, good challenge to the levels. Playability is great. As with the other games in the series, you do need to plan your moves. It is not just a click, click, click game. One major difference in the format is you don't choose how you wish to buy upgrades. They are granted when you earn "rewards". As for the comments about a lot of things going on on the screens, I don't find them any "busier" than some of the later games in the series. This new format makes it interesting (vs same song, next verse). IMHO, they did a fantastic job with it! Made it fresh again for existing fans. I highly recommend this game and look forward to the next. Great job guys!! Rated 5 out of 5 by coolcatmimi from Another Amazing Frenzy I am addicted to all the Frenzy games! Love them! 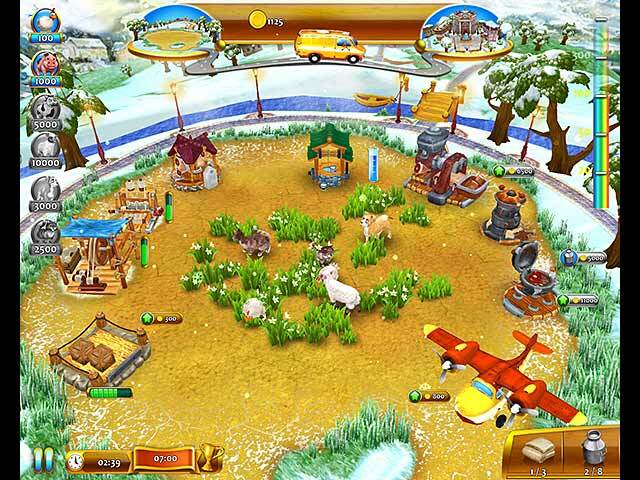 Rated 5 out of 5 by lucyfres from Love the New Farm Frenzy! This game has received a lot of negative reviews, but I'm not sure why. The old Farm Frenzies were very cute and challenging, so maybe the fact that this one is a lot easier to achieve gold may be part of the reason that a lot of people didn't care for it. My computer doesn't have the requirements for the 3D to work, so can't comment on that, but I am enjoying the brighter colors, and the videos which are cute. 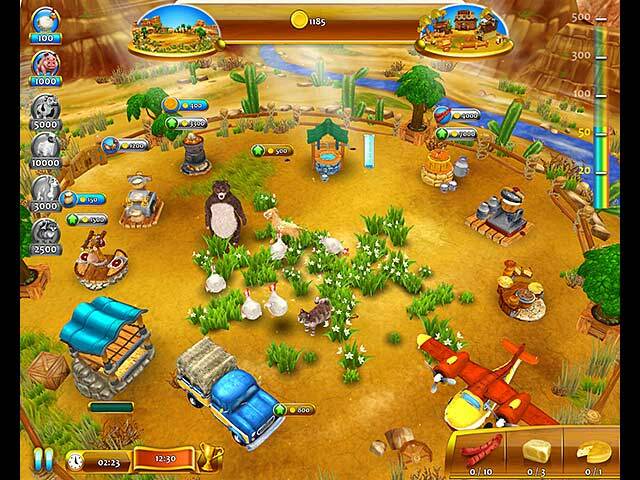 The game play is the same as the other Farm Frenzy games with the exception being that you earn collections for upgrades instead of just earning stars and keeping the upgrades throughout the game. Also there is a combo meter that allows you to earn extra points when you whack moles or collect special eggs from the pigs and chickens when they fall in love. I like the game! Rated 5 out of 5 by cathster from Love it! Different, but still the same. Love it! Save grandpa and grandma's farm from foreclosure in the wacky and wonderful Farm Frenzy 4! Virtual farming has never been more fun.